Maxol, Ireland’s leading family owned forecourt and convenience retailer is inviting visitors to try out the Agri Simulator at this year’s National Ploughing Championships. 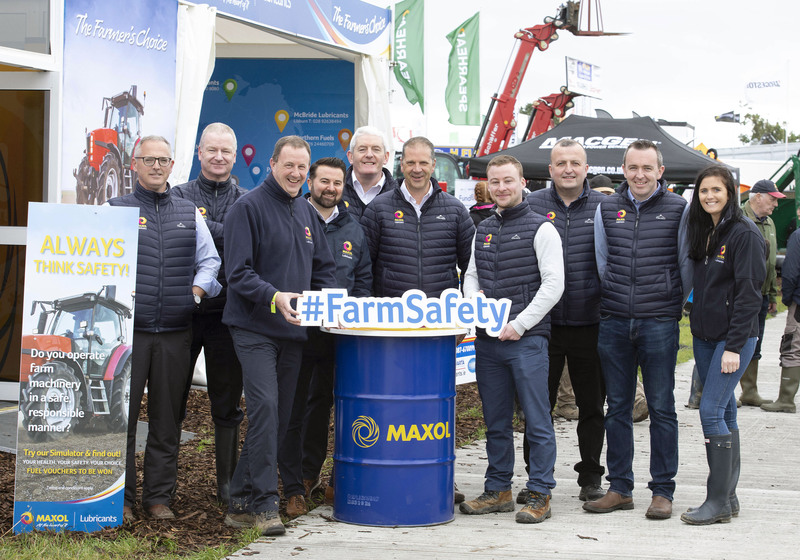 Maxol are putting the challenge to some of the almost 300,000 attendees at the Ploughing Championships to prove their Farm Safety skills by taking a spin in the Maxol Agri Tractor Simulator. Programmes include a tractor and trailer obstacle course, reversing and parking with a trailer, and handling and loading bales onto a trailer. Maxol is the supplier of choice to three Agri Co-Op Groups throughout Ireland, including Kerry Agri, Dairygold Co-Op, and Fane Valley in Nothern Ireland, with almost ninety agri stores stocking the full range of Maxol agri lubricants and greases inculding Engine Oils, Hydraulic Oils, Gear Oils, Milking Machine Oil, ATV Oil, Coolants/Antifreezes and of course AdBlue.